‘Abdullah Ibn Amr reported that the Holy Prophet said: “Allah will not take away knowledge (la yaqbidu al ‘ilma) by taking it away from the servants, but He will take away the learned (wa lakin yaqbidu al-‘ilma bi qabdi al-‘ulama`); so that when no learned man remains, the people will take the ignorant as their leaders. 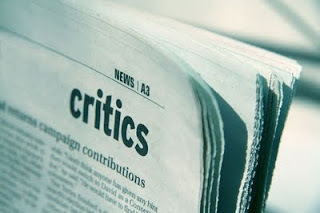 They will seek religious opinion from them and these ignorant (leaders) will deliver opinions without knowledge, when they would go astray and lead other to astray. If one look carefully at our world today, one can see the messages floating around from all directions, each try to communicate something for us to see, to hear, to feel and to accept. Some messages may convey something positive or something wrong, negative and harmful. It is our responsibility to develop within ourselves the ability to filter information in order to ensure that it does not negatively affect our life. The ability to make use of messages positively and protect oneself against their adverse effect depends upon one’s perceptual understanding of realities and truth in their relative as well as their absolute nature. As a Muslim, we have to be aware and remain constantly conscious of the truth and reality of our religion which is Islam. Indeed, we need to search for reliable sources and information which interpreting the heart of religion, The Holy Quran and The Tradition of The Prophet SAW which are known as wahy. Actually, the intention of this paper is to discuss briefly about the criticism on wahy by the Orientalist in general and William Montgomery Watt (d. 2006) in particular. It is well known that some Orientalist have been instrumental in discovering, editing, and publishing a number of original Arabic works and manuscripts. In the past as well as in modern times, scholars have dealt with it from time to time. Some serious studies have appeared on the method and approaches of the Orientalist with regards to Islamic themes in general and the wahy in particular. Those studies are among our references besides several genuine works of W. Montgomery Watt (Watt) in order to discuss about the subject matter. This paper will firstly discuss about Watt’s biographical background, consists of, his life, education, experiences and works. Watt is acknowledged as a leading European authority on Islam and the Prophet at the present time. His works such as Muhammad at Mecca (1953), Muhammad at Medina (1956), and Muhammad: Prophet and Statesman (1980) have been republished a number of times. They have also been translated in a number of European Languages and also in Arabic and other world languages. His works are among the most influential “interpretation of Islam” in Europe. Secondly, about the reality of Islam under the topic of “The Worldview of Islam”. It is important to discuss about world view as it projects the nature and reality of Islam, like mentioned by Syed Muhammad Naquib al-Attas (al-Attas): “a methaphysical survey of the visible as well as the invisible worlds including the perspective of life as a whole” based on the true understanding of wahy as taught by Prophet Muhammad SAW and the authority in Islam. Also in this paper, wahy is being defined in the light of authenticity scholarship in Islam under the topic “Concept of Wahy”. The concept and process of wahy in Islam is based on authentic reports. 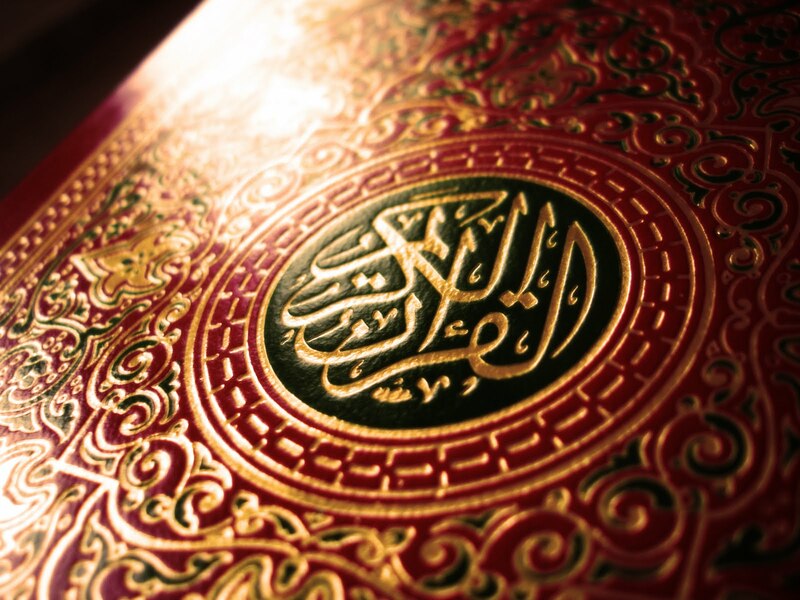 The worldview of Islam reveals that the authorship of The Qur`an could only be ascribed to Allah. Some author especially Orientalist including Watt declare that the Qur`an has been composed by the Prophet on his own or with the help of ohers. 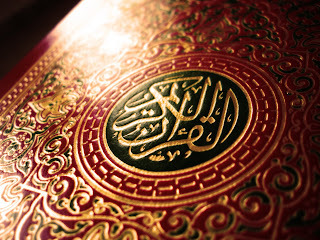 Watt said that Prophet Muhammad SAW may have been mistaken in believing The Qur`an to be a divine message and described The Qur`an as “the Product of Creative Imagination”. Watt in his works also mentioned about the nature of Islam in his perspective. He reiterates it as the “Islamic Vision” which he said is contained in wahy (the Qur`an), came to Prophet Muhammad SAW and was shared by him with some of his fellow-citizen. But the problem with his understanding of Islamic Vision is absolutely contradicted with the reality of Islam and this matter will be discussed under the topic “Watt’s Treatment of Wahy”. 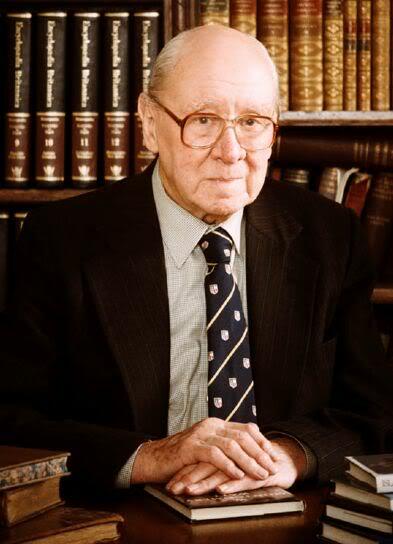 Professor William Montgomery Watt is one of the most famous scholars especially in field of Islamic studies. Watt is acknowledged as a leading European authority on Islam and the Prophet at the present time. He has died in age of 97 (24th October 2006) The most famous three books written by him focus on one person that is The Prophet Muhammad, acknowledged by experts to be classics in the field. Watt was born in Ceres, Fife where his father died when he was 14 months old. His father was a Minister. He was educated at George Watson’s College, Edinburgh and continued taking degree at Edinburgh and Oxford Universities where he took three degrees in six years. In year 1937, Watt discovered Islam that took him to a Muslim lodger, KA Mannan, a veterinary student from Pakistan. According to Watt, he began to learn something about Islam that he had been largely ignorant about it. But then Watt wrote that stated “the dominant impression was that I was engaged not merely in arguing with this individual but in confronting a whole, century-old system of thought and life”. This discovery also has led him to the Anglican Bishop in Jerusalem, George Francis Graham Brown. Brown has became the father figure to Watt, who agreed to join him in Jerusalem as his chaplain, working on the intellectual approach to Islam. This also meant that he had to seek ordination in the Anglican Church, he was fast-tracked through Cuddesdon Theological College in a year and ordain deacon in 1939. He was ordained in 1940, and after St Mary’s was closed because of bomb damage, Watt returned to Edinburgh to finish his training as a curate at Old St Paul’s, and begin work on his doctoral thesis, “Free Will and Predestination in Early Islam”. 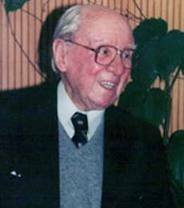 Returning to Scotland in year 1946, Watt became a lecturer in Arabic at Edinburgh, University where he remained there until his retirement in 1979. He was given a personal chair in Arabic and Islamic Studies in 1964. Watt has wrote 30 books and scores of articles. He was towering figure in the history of Edinburgh University Press, establishing the highly successful Islamic Surveys series in 1962 to bring the subject to a wider readership, and writing seven books for that press, all which are still in print and are amongst the bestsellers. His other books have been translated into a vast array of other languages. William was awarded many academic honors, he had visiting Professorships at the University of Toronto, the College de France, and Georgetown University, and received the American Giorgio Levi Della Vida Medal and was, as his first recipient, the British Society for Middle Eastern studies award for outstanding scholarship. Among his works are The faith and practice of al-Ghazālī (1953), Muhammad at Mecca (1953), Muhammad at Medina (1956), Muhammad: Prophet and Statesman (1961), Islamic Philosophy and Theology (1962), Islamic Political Thought (1968),Islamic Surveys: The Influence of Islam on Medieval Europe (1972), The Majesty That Was Islam (1976), What Is Islam? (1980), Muhammad's Mecca (1988), Muslim-Christian Encounters: Perceptions and Misperceptions (1991), Islamic Philosophy And Theology (1987), Islamic Creeds (1994), History of Islamic Spain, Islamic Political Thought (1998) and A Christian Faith For Today (2002). Watt’s stated that he doubted the appropriateness of conversion and felt that those of all faiths should collaborate in friendship to stern the tide of materialism and secularization. He was not afraid to express his radical theological opinions. The controversial ones in some Christian ecclesiastical circles. He often pondered on the question of what influence his study of Islam had exerted on him in his own Christian faith. 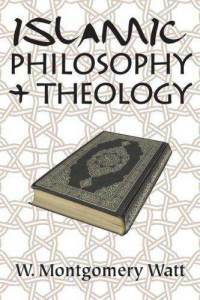 As a direct result, he came to argue that the Islamic emphasis on the uncompromising oneness of God had caused him to reconsider the Christian doctrine of the Trinity, which is vigorously attached in the Qur’an as undermining true monotheism. His aspirations to the highest degrees of objectivity are apparent in statements like “I am not a Muslim in the usual sense, though I hope I am a “Muslim” as “one surrendered to God”; but I believe that embedded in the Qur’an and other expressions of the Islamic vision are vast stores of divine truth from which I and other occidentals have still much to learn”. This statement projects his love towards knowledge and truth, even though some of his views on Islam is controversial and absolutely contradict to the reality of Islam. The worldview of Islam is the ‘aqidah of Islam itself. It projects the vision of the one reality and truth. It encompasses both dunya and akhirah in which, as al-Attas put it, “the dunya-aspect must be related in a profound and inseparable way to the akhirah-aspect and in which the akhlak aspect was ultimate and final significance. The dunya aspect is seen as preparation for the dunya-aspect. Everything in Islam is ultimately focused on the akhirah aspect without thereby implying any attitude of neglect or being unmindful of the dunya aspect”. In the book “What is Islam” (1990), Watt stated that: “while much of what valuable in the nomadic Arabic outlook has been taken into the central core of Islam and there transformed, there would also appear to be matters which have been given an Islamic dress without any fundamental change…” It is absolutely a false statement which describes Islam as a derivation of cultural and philosophical elements but it is one whose source is wahy, confirmed by religion, affirmed by intellectual and intuitive principles. This wahy is final, an it not only confirms the truth of preceding revelations in their original forms, but includes their substance, separating the truth from cultural creation and ethnic inventions. God sends His words to His creation through an imperceptible message called as wahy. The imperceptible message has played a role in the formation of Islamic civilization and also like many other concepts in terminology of Islam. Wahy has also be part of victim to the innumerable misunderstanding. In the ancient as well as the modern period, people were continuously occupied in generating ambiguity on the overall concept, background and forms of wahy. There are many false perception and accusations. It is due to the result of totally erroneous statements made about Islam in the West and disseminated in the East either being a systematic denigration or is based on preposterous evidence. There are many untruths were fabricated and the most dangerous was that the Qur’an was authored by the Prophet. According to the western scholars the Prophet invented it is wording and formulated it style. The true perception of wahy must be explained to others and it will help one to understand the position of Islam in the midst of other philosophies and way of life. The literal meaning of wahy, according to Thameem Ushama, derives from the root or semantic meaning of sur’ah (quickness or promptness) and khafyah (secrecy). These two meanings describe the real nature of wahy as it is revealed through human prophets and messenger. Literally the word wahy also derives from “aiha” which is means revelation, inspiration, quick signal, animal natural instinct and etcetera. The lexical meaning of the Arabic word wahy is the secret inspiration that is felt only by the one who inspires and the other who is inspired. The Qur’an has used this word both for instinctive inspiration by Allah to His creation in general and for the revelation towards His prophets in particular. As mentioned by Israr Ahmad Khan, wahy means communication. It is taken by verbs from “ahwa” that is for instances, denotes sentence of “he communicated”. Communication is the backbone of life. It provides the means through which people can communicate to learn from one another and exchange ideas in organizing normal life in which groups and individuals can live in peace, harmony, security and prosperity. According to Omar Jah, the first meaningful line of communication to help men organize life on earth came in a dialogue between God and the Angles, when Allah communicated to them His decision to appoint a khalifah to be entrusted with responsibility, to administer the affairs of creatures on earth, to maintain law and order, to establish peace, security and harmony. The Khalifah appointed by Allah is properly equipped with divine knowledge to discern truth from falsehood in belief, right from wrong in judgement and good from evil in action. This was wahy (the divine message) communicated to all Messenger of Allah. The Holy Qur`an says “O ye the Messenger of Allah, do communicate what is being sent to down you, if you do not, you would not have fulfilled your mission”. Wahy also bring the meaning that it is certainly message from the heaven (Allah). This meaning agreed by Muhammad ‘Abduh, who is according to him wahy it is a sublime knowledge (‘irfan) imported in one’s heart (qalb) with absolute conviction and also it must be from Allah. Furthermore, the wahy in the meaning above may be derived either through a medium (wasitah) and it is therefore audible in nature by using a voice or it may be without a medium and it was therefore requested directly to the heart of prophets. It is inaudible that is mean without a voice. Watt described that Muslims take what is revealed to human beings is also called as “the word of God”. The Arabic term is ‘kalam’, and this can be correctly translated ‘speech’, since it also being used for God’s attribute to speech, while ‘kalima’ represented the single word. Islamic perspective towards Divine Revelation is that God has not only created human beings, but also continually guided them by raising series of prophethood since time immemorial starting with Adam and ending it with the last Prophet Muhammad SAW and it stated that every prophet or messenger must have received revelation (wahy) from God, which His Divine guidance (huda or hidayah) directing people to lead their lives in accordance with the absolute command of God. The command is of two kinds, that it is the instructions (al-awamir) and the prohibitions (al-nawahi). Those who believed and obeyed the command are believers, and those who rejected are condemned as unbelievers. We have discussed in the subtopics before about the nature of Islam and of wahy. Actually the discussion before are quite clear to answer most of Watt’s accusations and false statements about wahy. In several works of Watt, he has arrived at some conclusion about wahy. Major points raised by him that will be discussed here are: (1) wahy is a projection of Prophet’s ideas of socio-religious reforms arising out of his time, environment and circumstances; (2) wahy is derived from the ancient Arab (pagan) poet has been influenced by the ideas and facts of other religions such as Christianity, Jews and Zoroastrians which prevailing in Arabia at the time; (3) the wahy does not mean verbal communication of a text, but suggestion or inspiration to give out the Qur`an and Jibril A.S was introduced at a later stage as a conveyer of way; and (4) Satan has outsmarted the Prophet by putting into his mouth some polytheistic ideas. Watt admitted some similarities between wahy (which he mentioned as the work of the Prophet) and works of man’s creative imagination such as drama and poetry in the sense that both type of works have a wide appeal and producing material from the collective unconscious. Thameem Ushama mentioned that Watt has arrived at conclusion that Prophet Muhammad SAW may have been mistaken in believing The Qur`an to be a divine message and described The Qur`an as “the Product of Creative Imagination”. The fact is wahy is neither the sudden visions of great poets and artists claim for themselves; nor the apostolic inspiration of the writers of sacred scripture; nor the illuminative intuition of the sages and people of discernment. Israr Ahmad Khan put a question for this allegation: “if it was Muhammad himself who developed the book, why he did not, the attribute it to his name?” Prophet would have undoubtedly hailed by his compatriots as well as the world today as the most remarkable literary genius for producing the work with extraordinary language and messages. Watt seems to have accepted the view the continuance of pre-Islamic (Jahiliah) attitudes happened in the Qur`an as he try to find similarity of messages in both the Qur`an and the pagan poetry Also, he try to make conclusion that Qur`an in the earliest passage have no insistence on the truth that there is no deity but God. He claimed that in the early time of Islam, the doctrine of monotheism is vague and admiration for superior culture like the people of Syria and Iraq (who believe in one God) and influence of Judaism and Christianity made the acceptance of monotheism become easier. Firstly, as mentioned by M. Mohar Ali, for Muhammad’s emergence as Prophet must have been marked by something new and better on his part than what was already known. None would paid any attention to him and become his followers if his ideas were not clearly in advance of those of the enlightened Meccans. Secondly, the message of Tawhid and its principles in the Qur`an is very clear as mentioned for instance in Surah al-Ikhlas(Qur`an: 112) and surah al-Kafirun(Qur`an: 109). Thirdly, it is clear that Islam by its nature was conscious of his own identity from the time of its revelation. When it appeared on the stage of the world history. Islam is already ‘mature’, needing no process of growing up to maturity. Al-Attas stressed that wahy religion (‘revealed religion’) can only be that which known itself from the very beginning and that self-knowledge comes from wahy itself, not from history.” Israr Ahmad Khan argued that the Qur`anic account of many stories is essentially different from the Biblical account, in many respect. Also, the Qur`an states clearly about the differences between Islam and Judeo-Christian traditions and religions. In translating surah al-Najm Watt adopts Bell’s rendering of the expressions wahy and awha as “suggestion” and “suggested”. These meaning are not all correct for Qur`anic wahy. The meaning of the word change with the change of the context. Indeed, a common English equivalent for wahy should be communication rather than suggestion. This meaning would fit in all situation. Wahy maybe of different types depending on the nature of the matter communication. Watt mentoned “There is no mention of Gabriel (Jibril A.S) in the Qur`an until the Medinan period”. According to M. Mohar Ali, Watt invoked the opinion of Karl Ahrens who said that there is no mention of Jibril in the Meccan passages of the Qur`an. Actually, Watt has misinterpreted the Qur`anic terms, words and passages. Jibril is mentioned several times in the Qur`an (especially in Meccan passages) by several names which refers to the Archangel Jibril A.S such as “Rasul Karim” and “al-Ruh”. Both names are refers to the same individual whom mentioned as the conveyer of wahy who is also described as al-amin(nazzala bihi al-ruh al-amin) which means faithful and having been employed as a messenger by God. Moreover, the specific mention of him by name Jibril as a conveyer of wahy can be found for example in surah al-Baqarah(2): 97. Watt’s most controversial view is his theory of ‘Satanic versus’. He claimed that ayat 19-23 of surah al-Najm is those verses. Watt said that: “it is assumed in Islam that all such Satanic alterations in the Qur`an have been discovered and corrected…” and “…Satan had managed to slip in the false versus of the first version without Muhammad noticing it...” But the Qur`an already stated that it is impossible. According to Israr Ahmad Khan, the incident involving those versus is totally different with the story rose by Watt. He corrected Watt as in 5A.H., when a number of early Islamic community took refuge in Abbysina, Prophet after having received the complete surah al-Najm (the Qur`an: 53) from Allah, recited it to a large audience comprising the companions and non-believers. In the end as the last word demand for doing prostration, Prophet made it and followed by the others including the non-believers. The Quraysh, later on felt ashamed of their joining in doing prostration to Allah with Prophet S.A.W, and to wash off this stigma fabricated the story that they follow the later in prostration because they heard Prophet Muhammad praising their idol. Israr Ahmad Khan also in his commentary to this matter said that almost all the Orientalists described the Prophet as a genius, but Muhammad S.A.W as an intelligent person cannot realize the nature of the two opposite messages which one is allegedly Satanic versus and the other is genuinely divine versus: the former appreciates the Arab’s chief goddesses and the latter condemn them as falsehood. These two views are too distinct to escape even an ordinary person’s mind. However, there are also positive aspect and effect of his works. He was known by many scholars of the west as a legendary figure among scholars who in the field of Islamic studies. Also, he dedicated his life to the promotion of dialogue between Christians and Muslims. Before his death, he came to argue that the Islamic emphasis on the uncompromising oneness of God had caused him to reconsider the Christians doctrine of the Trinity, which is vigorously attacked in the Qur’an as undermining the monotheism. Influenced by Islam with its 99 names of God, each expressing specials attributes of God, Watt returned to the Latin word “persona” which meant a “face” or “mask”, and not “individuals” as it now means in English. About wahy, it is clear to us that it is a medium of communication between God and mankind. Wahy project the worldview of Islam which is the information of the absolute truth and reality. Wahy is a kind of man’s behavioral and spiritual needs. Man stands almost identical to animals without those wahy. al-Attas, Syed Muhammad Naquib Prolegomena to The Metaphysics of Islam: An Exposition of The Fundamental Elements of The Worldview of Islam, Kuala Lumpur: ISTAC, 1995.
. “The Worldview of Islam: An Outline”, Islam and the Challenge of Modernity, Kuala Lumpur: ISTAC, 1994..
Adi Setia, Mohd Dom. Worldview of Islam Academy: The Concept, Kuala Lumpur: HAKIM, 2010. Ali, Muhammad Mohar. Sirat al-Nabi And The Orientalist, Madinah: King Fahd Complex of Printing The Holy Quran, 1997. Richard Holloway, “William Montgomery Watt” The Guardian. Edition 14th Nov. 2006. 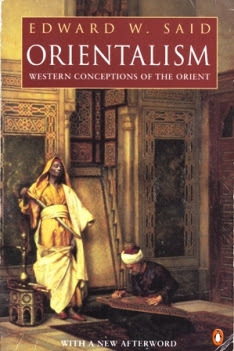 Said, Edward W. Orientalism, New York: Vintage Books, 1929. Al-Tabrizi, Wali al-Din Muhammad Abdullah al-Khatib. Mishkat al-Masabih. Translation by abdul Hameed Siddiqi, Lahore: Islamic Publication, 1976. Watt, W. Montgomery. What Is Islam, Beirut: Library of Lebanon, 1990. Watt, W. Montgomery. Islam and Christianity today: A Contribution to Dialogue, Edinburgh: University of Edinburgh Press, 1991. Watt, W. Montgomery. Muhammad: Prophet and The Statesman, Oxford: Oxford University Press, 1948. Watt, W. Montgomery. 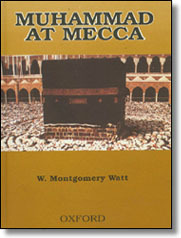 Muhammad at Mecca, Oxford: Clarendon Press, 1988. Omar Jah, “Al Balagh”, Knowledge, Language, Thought & The Civilization of Islam, (Johor Bharu: UTM Press, 2010), pg. 83. Ferid Muhic, “Dialogue of Civilizations Through The Corridors of Faith and Mind”, Knowledge, Language, Thought & The Civilization of Islam, (Johor Bharu: UTM Press, 2010), pg. 200. Edward W. Said, Orientalism, (New York: Vintage Books, 1929), pg 204. Muhammad Mohar Ali, Sirat al-Nabi And The Orientalist, (Madinah: King Fahd Complex of Printing The Holy Quran, 1997), pg. 23.
 see website : www.alastairmcIntosh.com, An interview with “the Last Orientalist”, op.cit. W. Montgomery Watt, What Is Islam, pg. 21. W. Montgomery Watt, What Is Islam, pg. 223. See also W. Montgomery Watt, Muhammad: Prophet and The Statesman, pg. introduction, see also pg. 19-20.